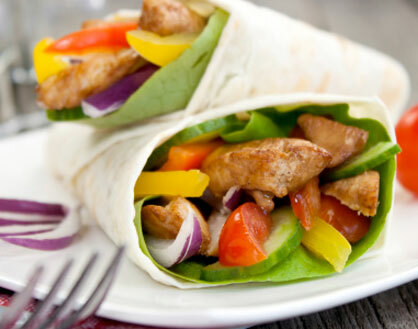 Leftovers make a quick and tasty meal or snack. 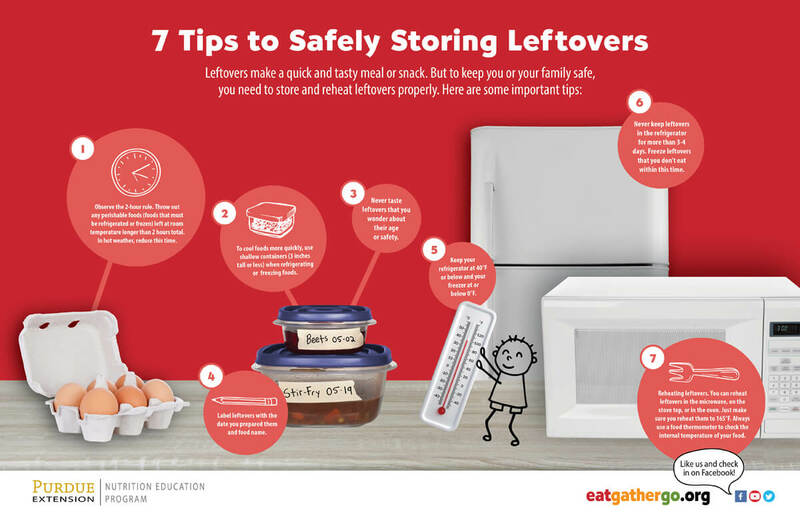 But to keep you or your family safe, you need to store and reheat leftovers properly. Download the Infographic. Observe the 2-hour rule. Throw out any perishable foods (foods that must be refrigerated or frozen) left at room temperature longer than 2 hours total. In hot weather, reduce this time to 1 hour. To cool foods more quickly, use shallow containers (3 inches tall or less) when refrigerating or freezing foods. Keep your refrigerator at 40°F or below and your freezer at or below 0°F. Label leftovers with the date you prepared them and food name. Never taste leftovers that you wonder about their age or safety. 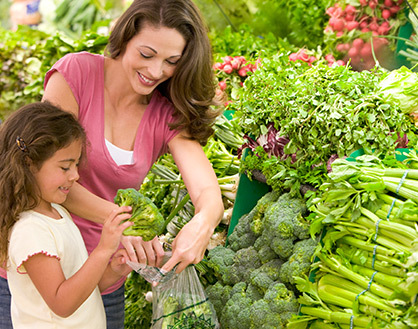 Never keep leftovers in the refrigerator for more than 3-4 days. Freeze leftovers that you don’t eat within this time. Reheating leftovers. You can reheat leftovers in the microwave, on the stovetop, or in the oven. Just make sure you reheat them to 165°F. Always use a food thermometer to check the internal temperature of your food. Deli, vacuum-packed, and home-prepared salads (egg, chicken, tuna, ham or macaroni salads) 3-5 days These products do not freeze well. *These storage times are for opened jars or homemade baby food. Follow the “use-by” date for shelf storage of unopened jars.